These are not exactly some novel creation – I’m sure you have seen variations all over food blogs (my inspiration came from here and here). They involve dates, raisins, cocoa powder, nuts, and a food processor. Really, they are kinda like a Larabar, but shaped in a bite sized ball. I love them because they are easy to make, use natural, healthy ingredients, and oh yeah, they taste great. 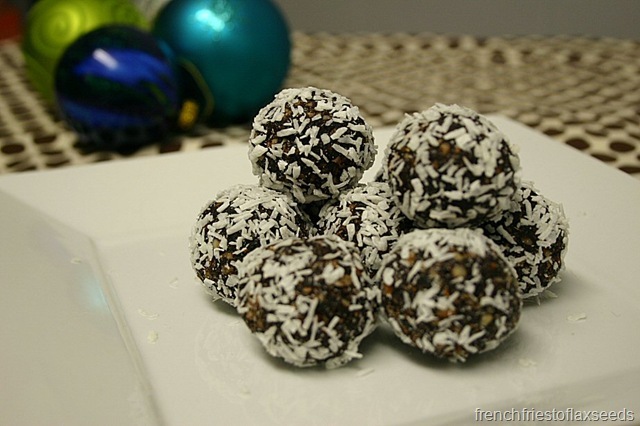 They are almost like having a rum ball (or kahlua ball as I like to make them)…in fact, I bet you could add a little rum or kahlua to the recipe and make a healthy version of those! All you need is a food processor and your hands to make these fudgy little treats. 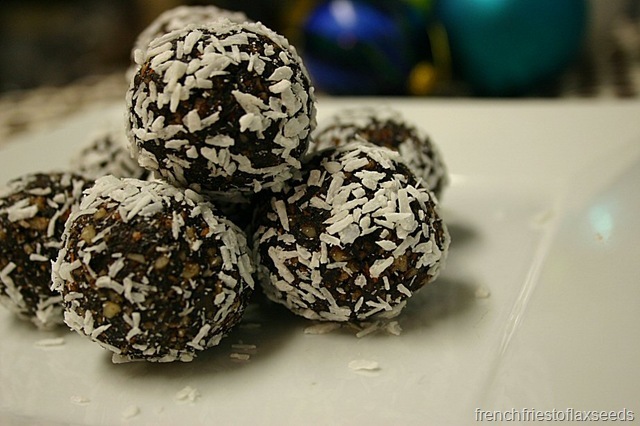 It’s amazing how easy it is to transform healthy, nutrient dense ingredients such as dates, raisins, cocoa powder, and almonds into something that tastes rich and decadent. I bet no one will guess how you made them. 1. Combine date, raisins, almonds, cocoa powder, vanilla, sea salt in your food processor, and blend on high until it starts to form a sticky mass. If the mixture seems to dry and isn’t coming together, add some maple syrup (this really depends on how dry your dry fruit is – mine was quite dry, so I added maple syrup). 2. 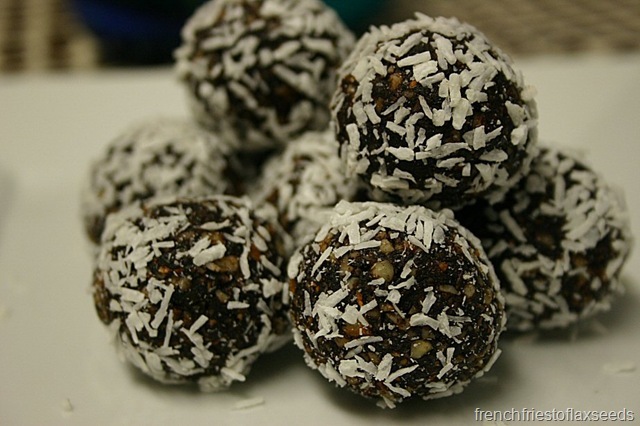 Roll small pieces of the mixture into 1 inch balls, and roll in coconut to coat. Store in the fridge. 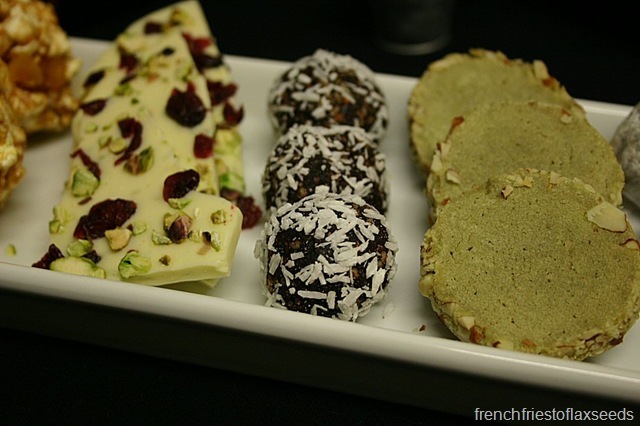 Note: You could easily play around with the kind of nuts used, or try a different extract such as coconut or almond…or even mint if you like that sort of thing.